Bay views! This spacious 4 bedroom, 3 and a half bath home, 3600 sq ft was just remodeled with a brand-new heated pool and spa! Professionally decorated and beautifully landscaped for your privacy around the pool. Stay cool in the covered pool area or get some sun on the new deck. The main level has a bright and airy open concept with views of the bay and a screened in lanai, perfect for entertaining. There is a large bedroom with an ensuite bathroom featuring dual sinks, jacuzzi tub and walk-in shower. Two other bedrooms that share a hallway bathroom. On the top floor is a huge entertaining space with games featuring foosball and a shuffleboard, but the best part are the panoramic water views of the bay! There is a wet bar, space for an office and a half bathroom. The main master is also on this floor with a huge walk-in closet and ensuite bathroom that also has dual sinks, jacuzzi tub and large walk-in shower. Can't go wrong with this perfectly positioned home being so close to the Gulf of Mexico and the Bay! Set up your private showing today! SchoolsClick map icons below to view information for schools near 2214 Avenue A Bradenton Beach, FL 34217. MFRMLS data last updated at April 21, 2019 12:09:08 AM PST. Home for sale at 2214 Avenue A Bradenton Beach, FL 34217. 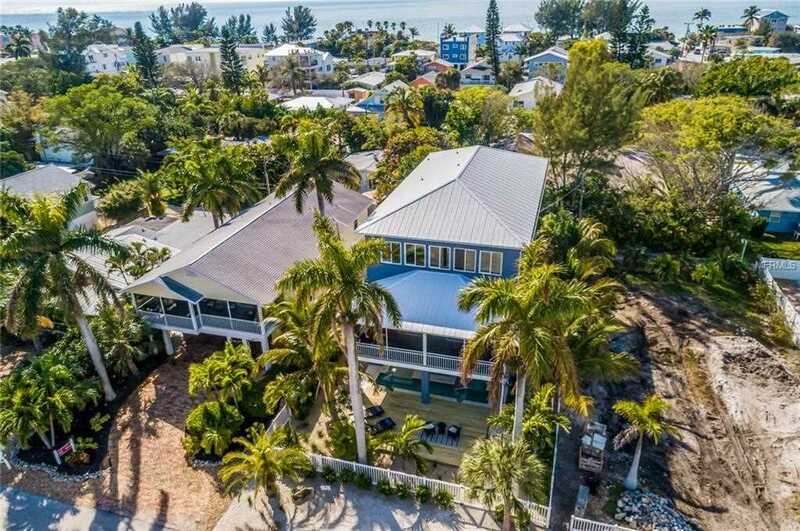 Description: The property at 2214 Avenue A Bradenton Beach, FL 34217 in the Ilexhurst subdivision with the MLS# A4426996 is currently listed for $1,050,000 and has been on the market for 71 days. You are viewing the MFRMLS listing details of the home for sale at 2214 Avenue A Bradenton Beach, FL 34217, which features 4 bedrooms and 4 bathrooms, and 3600 sq.ft. of living area.